I’m a creature of habit, so I walked to the coffee bar to get my usual large cup of roasted mild brewed coffee. Except when I pushed the lever down only a few drops of coffee came out. I guess the barista could see the annoyed look on my face. so he suggested that I get a latte instead. I took him up on his suggestion. “Can I have a latte please,” resting my hands against the counter. I was so excited for this latte. I walk back to my desk, sit down at my computer take a big sip of my latte. Where is the flavor I thought? This is so bitter; there’s no way I can drink this. Urghh why did I not say mocha latte?! I even complained to my co-worker about my bitter coffee selection. My coworker looked so happy with what looked like his iced hazelnut latte. I didn’t instantly get up to change my plain latte into a mocha one, though. Instead, I sat there taking more sips. With each sip, the latte became less bland. Less boring. My taste buds had adjusted. I convinced myself that you now what, Mocha would be nice, but maybe I don’t need Mocha today. Maybe I will be ok sipping my dull, bland, un-mocha latte. I had to get up and go back to the barista to change my plain, flat, bitter latte into one of mocha chocolatey goodness. So I got up walked back to the coffee bar and changed my order, and it felt so right not to settle. So right to decide that I wasn’t happy, figure out the solution that would make me happy and then make the changes to get to my happiness. Many people are treating their finances like a boring, plain, bland, latte. You’ve convinced yourself that it’s not so bad paying the minimum amount on your debt. It’s not so bad having less than $1,000 saved. It’s not so bad not investing. It’s not so bad not having money goals and pretending that you won’t need money in the future. It’s not so bad barely getting by and simply wishing it were better. You don’t need any more money advice because you know exactly what it is you need to do to live the life that you truly desire. I’m just aware that you’re not doing it. This isn’t a plea of me begging you to get your money right. Because whether you do or don’t, I will be here getting my money right. I realize I can’t change people. I can’t make you want to improve your finances. Read the post, share the post, feel motivated and do absolutely nothing different. There is nothing new that you will read in a post about money that you don’t already know. Let me repeat myself because I don’t think they heard me in the back. You know you need to get rid of debt. You know you need to find ways to earn more. You know you need to live below your means. You know you need to set money goals. You know you need to hang out with ambitious people. You know you need to change your money mindset. You know you need to continue to educate yourself. Maybe you’re not sure about some of the tactical things, but you know that if you wanted to figure it out, there are resources out there available for you to get started. 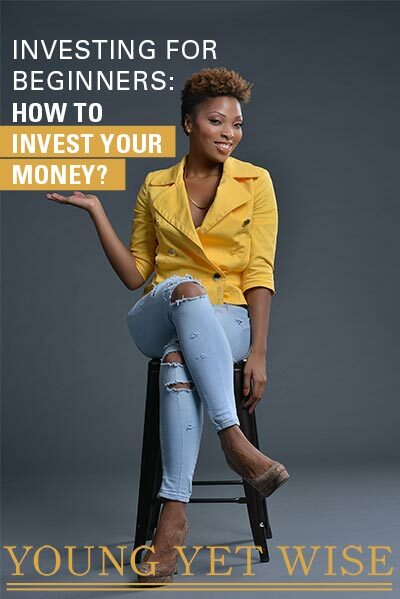 Shameless plug my investing for beginners book here. My Eliminate Debt Fast book here. Or you can click here to get access to a free chapter of my book where I talk about how I helped one woman stop drowning in debt here. I knew that I needed to get up and get a mocha latte if I wasn’t happy with my plain latte, but you know what I sat there unhappy until I finally had enough. Maybe you haven’t had enough. Maybe you’re happy exactly where you are. That’s cool, but if you’re not, Complaining isn’t going to fix it. Lying to yourself isn’t going to fix it. Blaming the world, your parents, your lack of education, the president, your environment isn’t going to fix it. You have to to make a change. Many of us get ourselves into money problems, but also realize that you can get yourself to a solution. The power lies in your great, capable hands. I want you to blossom. I want you to blossom before January. I want you to blossom before Thanksgiving. I want you to bloom beloved today. Put the dull, plain, bland, latte down, and get you the Mocha chocolatey goodness that you deserve. Your taste buds and future are depending on it. This is really a terrific post! You are exactly right. Most of us know that we need to do something about our finances. The basics are not terribly complicated. Spend less than you earn. Pay off debt. It’s about taking action.